So this last week has been lets say more than hectic. I spent last weekend in Amlwch, Anglesey where the sun decided to shine every day as if it knew I still had my dissertation to complete. It is hard at the best of times to do work but the last weekend of Easter break and you look out of the window to hills the ocean and the sun out, you really don't want to do anything. Either way it as now been submitted and I am FREE... well from that module. I would write up a whole post about my topic and dissertation but to be honest I really don't think it is worthy of it as I am no academic writer. 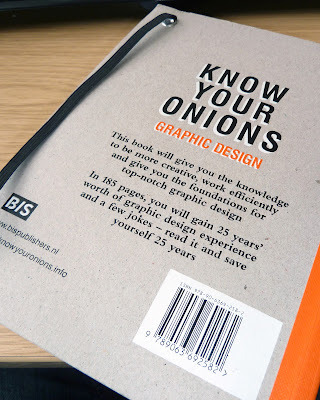 Copywriting YES Academic NO! 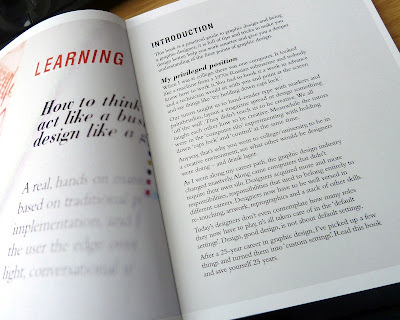 So now I have moved onto my Design Research Project module that has been the other bain of my life. Only because my design process has been all over the place lately as I am still trying to find the most efficient way to do things. I was given a book last week by Vicky called Know Your Onions. I was trying to get work done but instead got addicted to reading it and by the end of the day I had read every page word for word. It has been the equivalent of my bible. It has to be that good otherwise I wouldn't focus on one book for a whole blog post. It covers all of the basics that are common sense but sometimes it just takes something to get you to realise what you are actually doing. 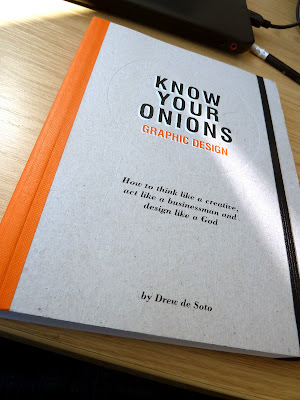 I think that this book should be given to people in their first year of Graphic Design because I know if given this as a guidebook I wouldn't be making such a fuss over design and have better time management. Though I suppose you don't come to Uni to become a designer, you come to get a degree! It is a must Lorna! Hi Drew thank you for the reply, it really is a great book and I am glad that you are writing one on web design, I can't wait to buy it when it is released!